I just realised I forgot to share my most recent South Yarra covergirl for the Urban Walkabout. I love drawing these covers and am a little sad that it is all over with the last sketch releasing in a week. 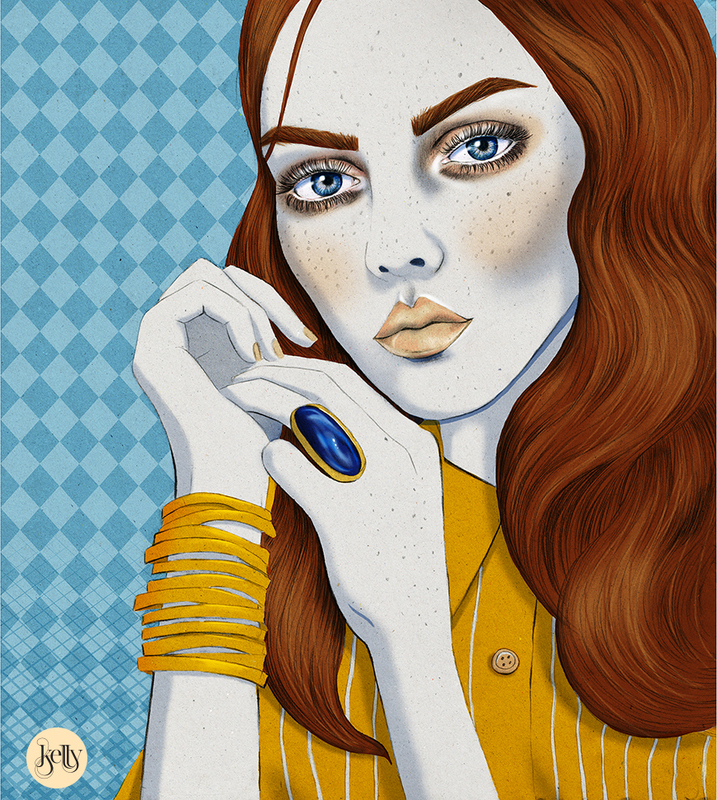 I was feeling a little retro the day I drew this one, and realised that I never draw brunettes so here we have one...with a few ginger summer highlights (you know I love the ginger). I actually kinda like this lady a little more without the colour, which is also a rare occurrence for me. What do you prefer?